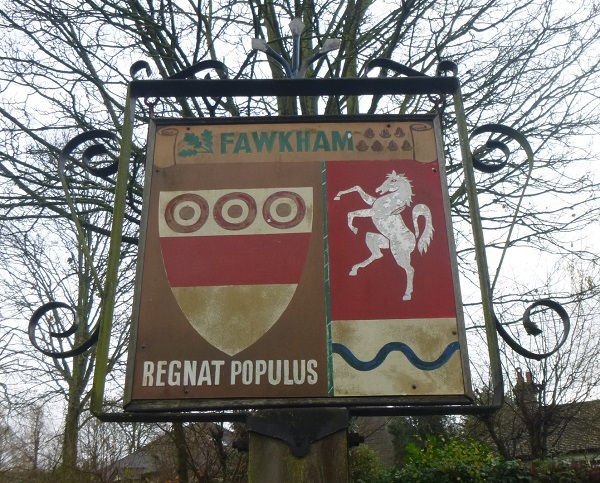 The village of Fawkham is in North Kent, within Sevenoaks District. Fawkham is a rural parish with 220 homes and a population of just over 500 people. The village has a green with a pub, a village hall, farms, several schools, livery yards, a golf course, a private hospital and a large hotel with a spa. The village's main road winds down a picturesque valley and walkers benefit from access to several bluebell woods managed by the Woodland Trust. The parish church of St Mary's dates back to the 12th century and there is an annual village fete, with dog show, held in its grounds. And so to the cache. 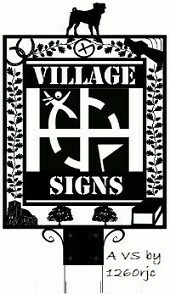 You should be standing next to the village sign and be able to see a couple of brass plaques on it. The below info you'll find on them.